Recently renovated. The space offers heritage character with a modern vibe. Current layout features open concept, two private offices, boardroom and kitchen. This 5th floor space is served by elevator and offers great urban and water views. HVAC provides heating and cooling. 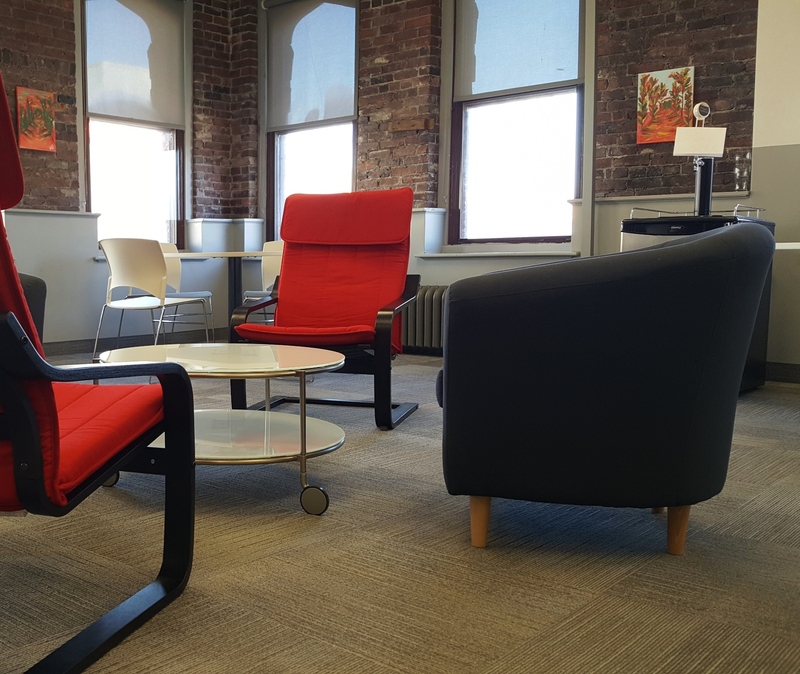 Located in the heart of the uptown Saint John’s commercial district just steps from the internal pedway system. Amenities in the immediate vicinity include hotels, boutique shopping, fitness facilities, restaurants, cafes and pubs. A main city transit hub is nearby. It is also strategically located at the core of “Brick Park” (www.brickpark.ca) Saint John’s urban knowledge park which is aimed at growing the existing cluster of creative/ knowledge sector this area.